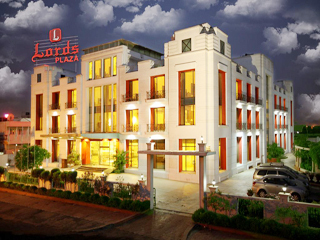 Kandla Airport is 10 km from the hotel, whereas Gandhidham Railway Station is 2 km away. 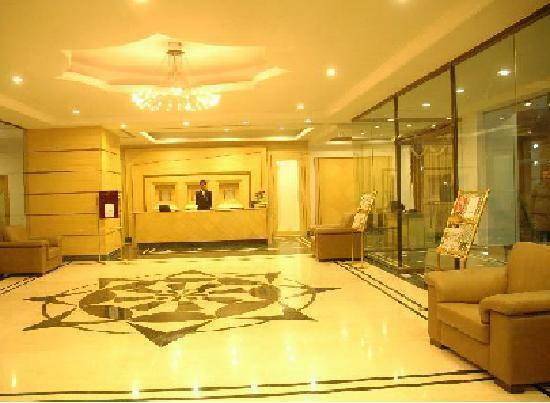 The hotel offers facilities like swimming pool, health club, indoor pool, business center, handicap facility, conference hall, lawns/gardens, taxi services, massage center, ayurveda center, bicycles on hire, travel desk, mini fridge, electronic safe deposit locker, cable television, direct dialing facility, spa, executive lounge, discotheque, sightseeing, shuttle service, guide service, bonfire, wireless internet connectivity, laundry, valet service, secretarial service, doctor on call, money exchange service, dry cleaning service and bathroom toiletries. The hotel offers accommodation in 48 rooms in 3 categories: Deluxe, Club and Suite. It also provides 24 hour room service. The amenities includes air conditioner, television, intercom facility, direct dial phone, data port, Wi-Fi enabled, snack basket, mini bar, tea/coffee maker, refrigerator, mineral water, iron, ironing board, balcony/sit out, dining table, sofa unit, study table, daily newspaper, electronic safe, safe deposit locker, piped channel music, shower area, bath tub, hot/cold water and bathroom toiletries.Blue Coriander is a multi-cuisine dining restaurant, where digestible and hygienic food is provided to the visitor. The hotel also houses a coffee shop - L Cafe for complete refreshment and relaxation of visitors, there is a separate well-maintained coffee shop.